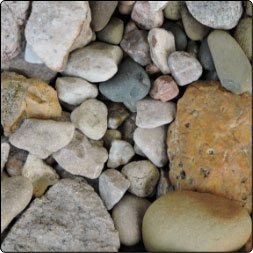 Through our network of quarries, we supply our customers with the highest quality of crushed stone, sand, gravel and specialty products in a variety of sizes. If you know what type of material you need, use our Material Estimator to estimate the quantity you'll need to complete your project. Click here for our current 2019 Plant Price List. *Products are not available at all times or locations. 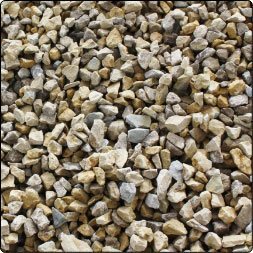 Roadstone is crushed limestone with fines. 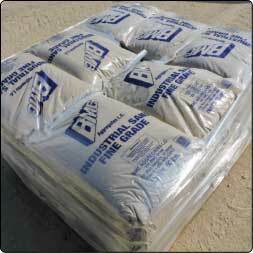 It is used for roadways, driveways, base material under concrete or brick pavers and fill for fence posts. 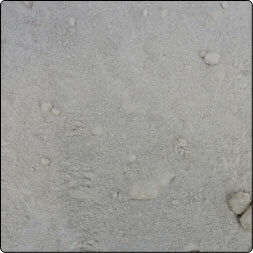 Available Sizes: ½", ¾", 1", 1¼", 1½", 2", 3"
Clean Roadstone is crushed limestone without fines. 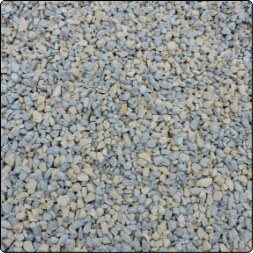 It is used for pipe bedding, foundation drainage and driveways. 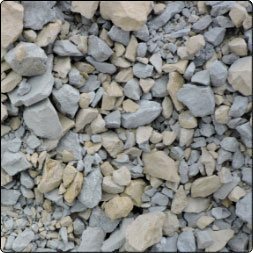 Available Sizes: ¾", 1", 1½", 2", 3", 4"
Backfill Lime or Screenings is crushed limestone fines used for general fill needs. 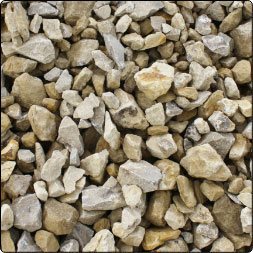 Erosion Stone is clean crushed limestone used to control erosion and is 3" - 9". 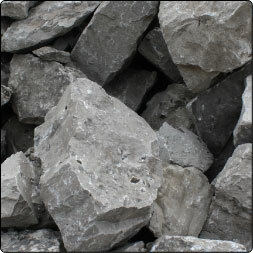 Rip Rap is clean crushed limestone used to control erosion and is 9" - 18". 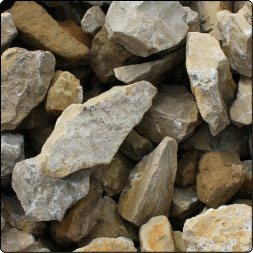 Flagstone is flat limestone pieces of varying size and thickness and is used for stepping stones or landscaping. 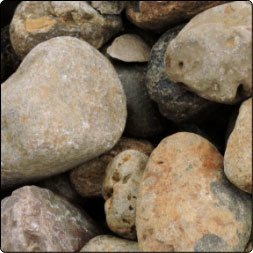 Due to the nature of flagstone, the customer picks out, loads and hauls their own selected pieces. 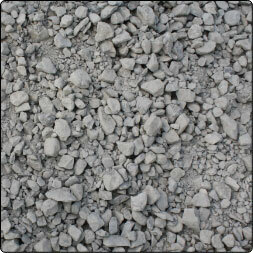 Concrete Sand is washed coarse sand used in ready-mix concrete, sandboxes, and under brick pavers. 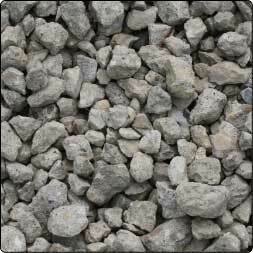 Mason Sand is washed fine sand used in mortar for bricks and blocks, or sandboxes. 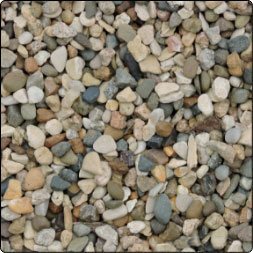 Washed river gravel is used for landscaping, playgrounds, pipe bedding, septic systems and erosion control, tile bedding and tank bedding. 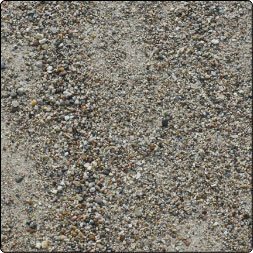 Available Sizes: ½", ¾", 1", 1½", 2½"
Dried Industrial Sand is washed and dried sand used for Sandblasting, Germination Testing and Locomotive Traction. 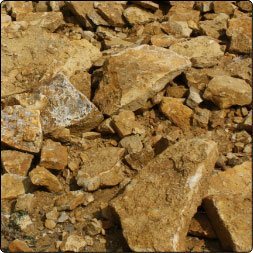 We offer Coarse (10/36 grit), Medium (14/60 grit), and Fine (30/90 grit). 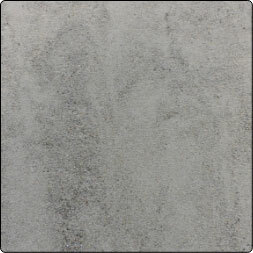 All grades are available with or without PreventTM Dust Suppressant. Click here for our current 2019 Dried Industrial Sand Price List. 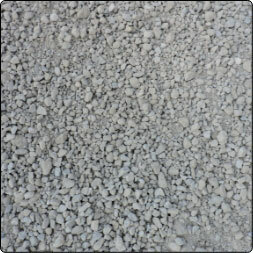 Recycled Concrete is crushed concrete with fines and is used for a compactible base material under paving. 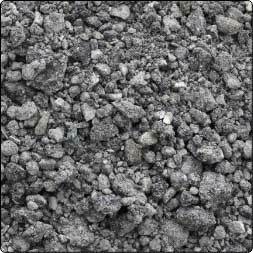 Recycled Asphalt is a crushed asphalt with fines and is used for compactible surfacing material.